Mercury Holidays prides itself on its continued support for others. Over the years we have helped numerous charities not just locally but across the globe. We have assisted entire communities in times of need during natural disasters and economic turmoil. We also ensure a constant support for charities closer to home. Please see below the charities we are currently supporting. Their Future Today is a UK charity working to improve the lives of Sri Lanka’s forgotten children. 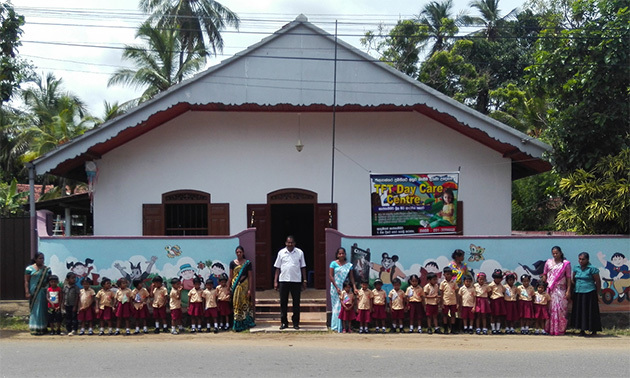 Launched shortly after the tsunami when its Founder Lynn Stanier visited Sri Lanka to volunteer, the charity initially sought to improve the lives of institutionalised children living in a state-run Orphanage near Galle. After witnessing the dire circumstances in which they were living, Lynn set out to improve their lives wherever possible.